Get information about our monthly in-store deals and specials save on motorcycle parts and accessories. It's time once again for Spring Motor Mania! Join us for one of the most unique annual events on wheels! 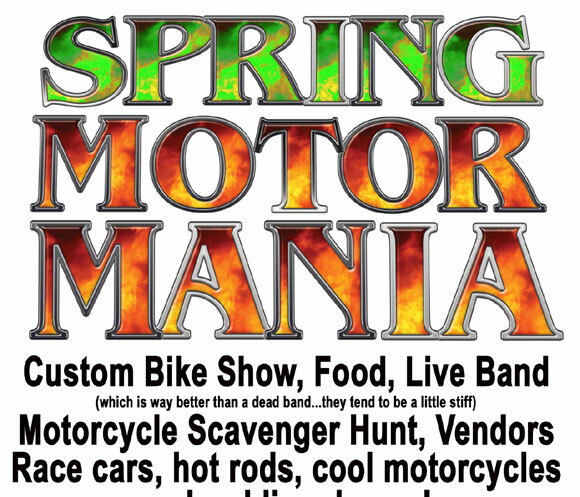 Started in 2009, Spring Motormania is the cooperative brainchild of Bikes Built Better and Injection Connection. It�s a celebration of how much we love things with wheels and the biggest engine you can squeeze between them. The event gets bigger and better every year. Car show, Custom Motorcycle show, door prizes, live band, motorsports vendors and displays, Raffle Prizes, Games of Chance and Free Food help round out the day and make it a fun outing for everyone.